← Is the U.S. Ready for National Greenhouse Gas Regulation? Back when I worked in Calgary in the early 1990s, a consultant’s study made the rounds suggesting that Canadian producers should be alert to a possible competitive threat from the south. Specifically the report stated that theoretical natural gas reserves in Mexico were so robust that one day Mexico might supplant Canada as the preferred source of imported natural gas to the United States. Twenty years later, Mexican imports of U.S. gas have grown by a factor of 10, pipeline companies are rushing to build new pipes from the U.S. into Mexico, and Mexico imports liquefied natural gas (LNG) from counties such as Qatar and Peru. Meanwhile Mexican industrial and power plant gas demand has more than doubled in the same timeframe. Does this mean the consultants had it all wrong? Maybe, but maybe they were just well before their time. Recent discoveries of significant shale gas resources in northern Mexico, coupled with potential political and regulatory reforms being pushed by the newly elected President Enrique Peña Nieto, suggest the possibility of significant future growth in Mexican gas production. Gas demand in Mexico is largely dominated by use by the national oil company PEMEX, which uses gas for refineries, petrochemical plants, and oil exploration and production. This accounts for about 40% of demand. Another 33% is used for electricity generation and the remainder is used mostly by non-PEMEX industrial customers. Mexico used about 2.4 Bcf in 2011 and projections are that gas demand will continue to grow due to continued construction of gas fired power plants and growth in industrial output. Gas demand has risen on average by 4% a year between 2007 and 2011. According to projections by the federal electric monopoly Comisión Federal de Electricidad (CFE), demand for gas could triple to over 7 Bcf by 2027 just due to power plant growth . Meanwhile, gas production in Mexico has failed to keep up with growing demand despite robust reserves. 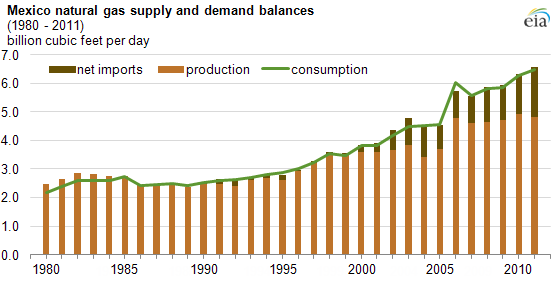 In the time frame of 2007 to 2011, gas production grew by 1.2% per year while demand was growing by 4%. 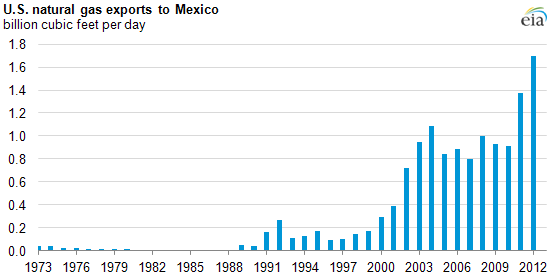 Beginning in the early 2000s, Mexico found it necessary to significantly grow imports to meet demand, including significant growth in net pipeline imports from the U.S. and construction of three LNG import terminals. Mexico has about 17 Tcf of proven reserves. Technologically feasible reserves of conventional natural gas greater than 60 Tcf . Much recent study has gone into the potential for shale gas reserves. An initial EIA assessment estimated 681 Tcf of technically recoverable shale gas, which is the fourth largest of any country studied by the EIA . And much of this gas is located in regions near the U.S. border. So could Mexico one day become significant importer of gas to the U.S., thus keeping U.S. gas prices lower? Or will Mexico continue to become a growing source of export demand for U.S. gas causing U.S. prices to rise? As with many things in the energy business, the future has a lot to do with politics. Mexican gas production has historically been constrained by lack of capital and lack of attention. Much of this has to do with nationalization of the Mexican gas and oil sector in 1938 with Petróleos Mexicanos (PEMEX) designated as the sole oil and gas operator in the country. 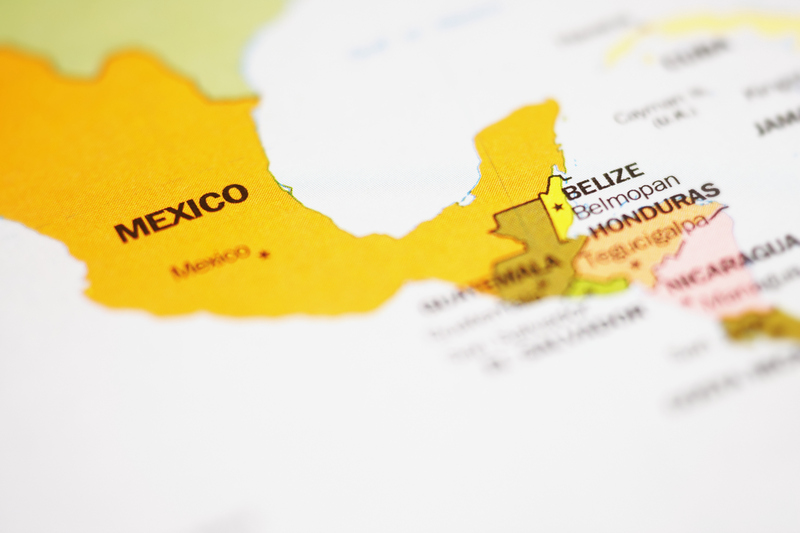 Provisions were added to the Mexican Constitution prohibiting foreign companies from owning oil and gas resources. PEMEX is one of the largest oil producers in the world, but has tended to focus more on oil production than natural gas. And the Constitutional provision has prevented other companies from investing in PEMEX’s stead. The desire to prevent foreign companies from taking over Mexican resources has been strong, and historically there has been no political will to alter things. But this may now be changing. Reforms in 2008 allowed PEMEX to create incentive-based service contracts with foreign oil and gas companies that would allow these companies to participate in exploration and production (although foreigners still cannot own the resources). In 2011 PEMEX awarded the first foreign production licenses for oil in more than 70 years and the same model can be used for gas exploration and production. And in the Presidential election of 2012, Peña Nieto included more extensive energy reform as one of his campaign goals. As of mid-2013 he seems to be building a political coalition that might indeed pull off significant reforms. So we can conclude that the gas appears to be there. Whether the politics, economics and technological factors will align to make it happen remains to be seen. But it appears much more likely than it did 20 years ago. This entry was posted in Uncategorized and tagged Comisión Federal de Electricidad, Energy Education, Energy industry, Liquefied Natural Gas, LNG, Mexico natural gas, Natural Gas, Natural gas industry, Natural Gas Markets, Oil and Gas, PEMEX. Bookmark the permalink. 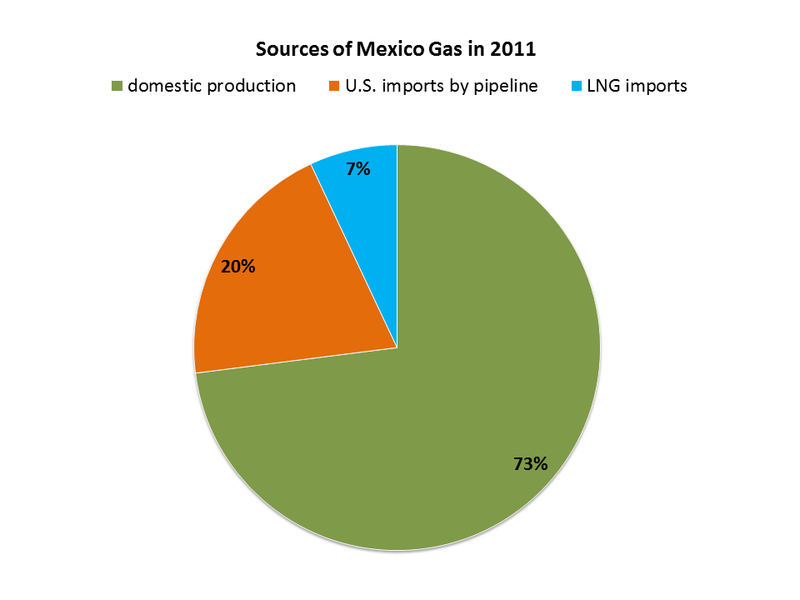 2 Responses to Mexican Natural Gas – The Next Paradigm Buster?